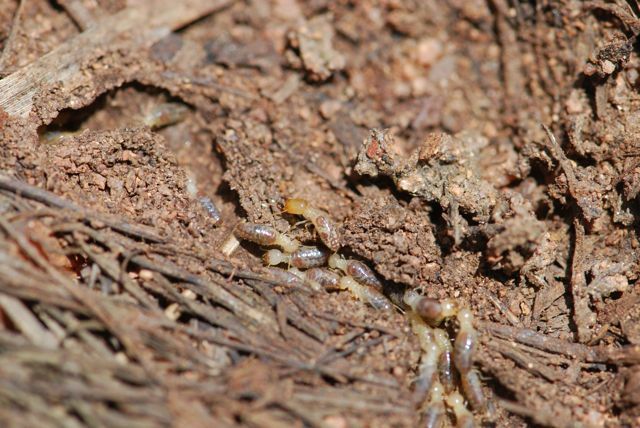 Most of us probably only think of termites as pests that eat our homes, but in reality termites are part of nature's clean up crew. They are some of the few organisms that, in partnership with mutualistic gut fauna, are able to digest the cellulose component of wood. These were apparently on the move, because they were gone when I checked the next day. 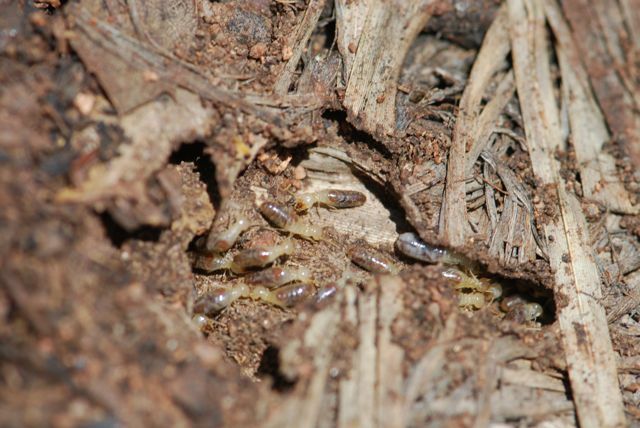 Have you ever seen termites?